The first such shop was today inaugurated at a Border Security Force (BSF) camp here in the national capital. NEW DELHI: After yoga skills, BSF troops will use products prepared by Baba Ramdev-promoted 'Patanjali' FMCG brand as the border guarding force is set to open over a dozen such stores in its campuses across the country. The first such 'shop' was today inaugurated at a Border Security Force (BSF) camp here in the national capital. The BSF Wives Welfare Association (BWWA) has inked a Memorandum of Understanding (MoU) with "Patanjali Ayurved Limited, Haridwar for sale of items of Patanjali through BWWA Patanjali shops spread across various BSF locations all over India." 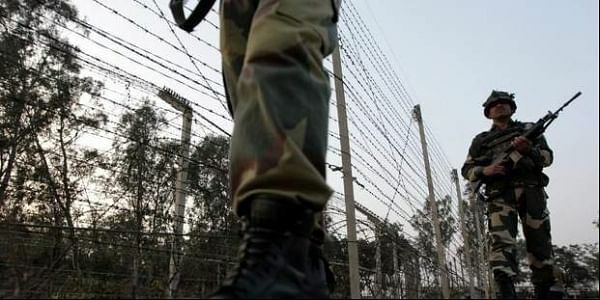 A BSF statement said the MoU also has a provision for discounts on sale to the country's largest border guarding force personnel and their families. "It is a kind gesture of Pantanjali Ayurved Limited, Haridwar to sell various Patanjali products at discounted prices varying from 15 per cent-28 per cent," it said. More such stores, under the aegis of BWWA, will be opened at BSF's campuses in Agartala, Tekanpur (Gwalior), Guwahati, Jodhpur, Siliguri, Jalandhar, Kolkata, Jammu, Bangalore, Silchar, Ahmedabad, Hazaribagh and Indore. BWWA president and wife of BSF Director General K K Sharma, Renu Sharma, inaugurated the first store here. Last year, BSF, the about 2.5 lakh personnel-strong force that guards Indian borders along Pakistan and Bangladesh, had got trained over 2,000 of its jawans and officers at Ramdev's Patanjali institute in Uttarakhand's Haridwar after these physical fitness drills were made mandatory for them. Ramdev's Patanjali food park produces several fast moving consumer goods (FMCG) and processed food items like chyawanprash, condiments, ghee and other items and the facility in Haridwar is guarded by an armed squad of another paramilitary, CISF. Ramdev himself enjoys a VIP security cover from the CRPF.